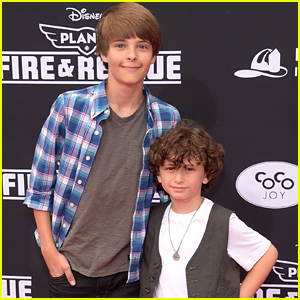 Throwback Thursday Photos, News, and Videos | Just Jared Jr.
Corey Fogelmanis and August Maturo had a little Girl Meets World reunion this week and it hit us like a truck! Not only for the cuteness – because Corey and his fam took August and his younger bro, Ocean, out for a little birthday event – but also for just how much they’ve grown up since GMW! August‘s mom, Maha, shared a new pic on his Instagram account from the outing. “Thanks for all the birthday wishes & thank you Fogelmanis family for taking us ceramic painting!” August captioned with the image. Frankengirl looks so much different than we remember her!!! 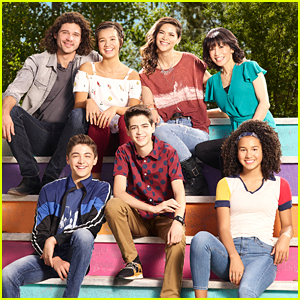 The actress behind Wizards of Waverly Place‘s Alex-obsessed monster is named Perry Mattfeld, and she’s got a brand new show coming to The CW. 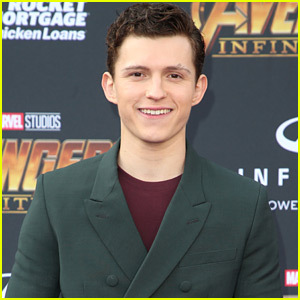 Perry, 24, will be starring in In The Dark, and it revolves around a flawed and irreverent blind woman who is the only “witness” to the slaying of her drug-dealing friend. After the police dismiss her story, she sets out with her dog, Pretzel, to find the killer while also managing her colorful dating life and the job she hates at Breaking Blind — the guide dog school owned by her overprotective parents. 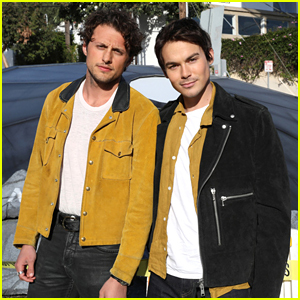 Perry has also starred on Shameless, and Stitchers. FYI: Perry is wearing a Ronny Kobo dress. 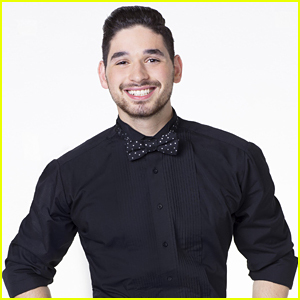 We’re so excited that Alan Bersten is back as a pro for the upcoming season of Dancing With The Stars! The long-time troupe member was upped to a pro during Season 25, where he performed with Debbie Gibson, and will be back again for the all-athletes season. Looking back at our interview with Alan, he opened up about the nerves hitting him ahead of his premiere season as a pro. We hope Alan has the good-kind of nerves again for this season! Check back to JJJ tomorrow for the full cast lineup! Chelsea Kane might have just won Throwback Thursday with this post. The former Baby Daddy actress shared a pic on Instagram today with Mark Ballas, from a few years ago on Dancing With The Stars with the most hilarious caption ever.